Inspired by the masters of Art Deco ornamental metalwork – Edgar Brandt and Albert Rateau. 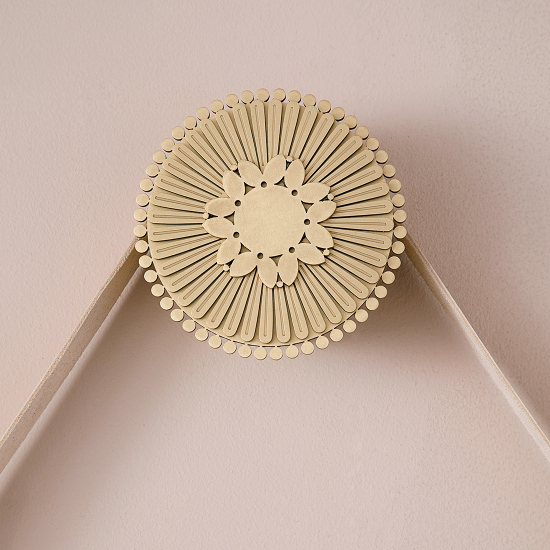 Bloom Etch explores a love of detail and tactile surface, in metal and leather. 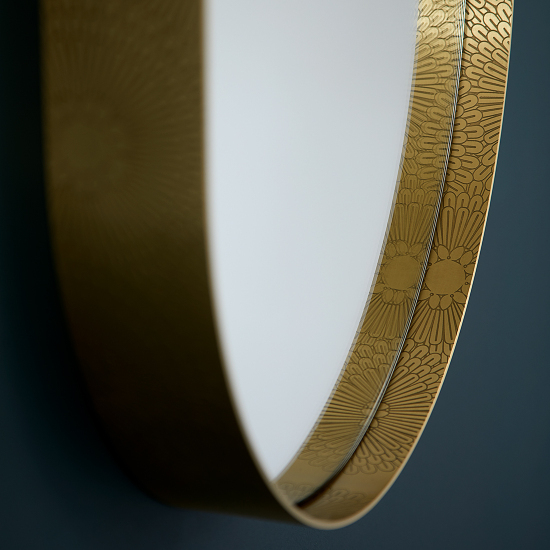 Flawless brass is meticulously cut and etched – creating a highly detailed exquisite patterning which responds beautifully to light. A disc of absolutely flat, reflective glass is held within precisely engineered outlines of solid metal. 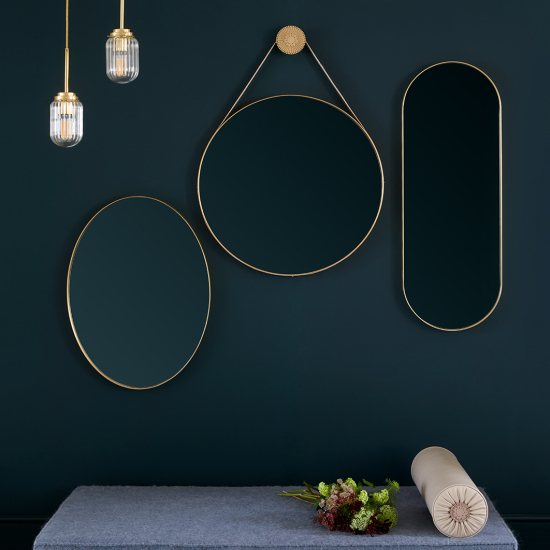 The contrast between the imposing form of the mirror and the gentle tactility of the etched brass creates a truly unique and contemporary aesthetic. The unique Bloom hand drawn floral pattern is meticulously etched into the surface of the brass creating a highly detailed exquisite patterning which responds beautifully to light. The round mirror is suspended from a richly cut and etched floral brass puck fixing with a hand stitched leather strap in a selection of ten colours of premium Italian vegetable tanned leather.